Efficiency. Trust. Valuable rewards. 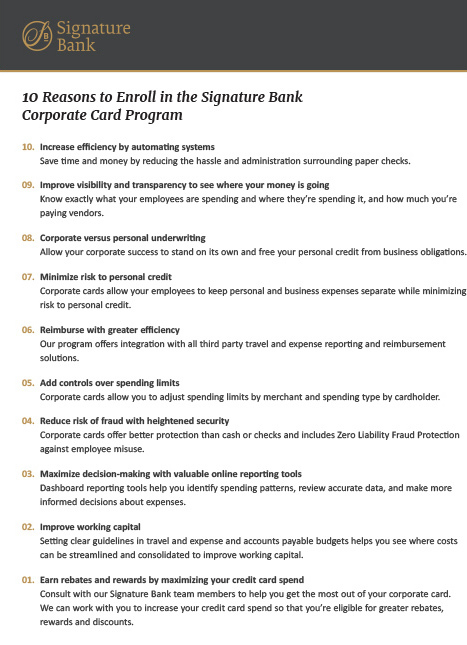 These are a few of the things you’ll experience with the Signature Bank Corporate Credit Card Program. Designed to help your business streamline payment systems, reduce processing costs, and improve overall efficiencies, corporate credit cards allow you to take control of your employee spending and do away with the hassle and administration of paper checks. Think beyond just travel & expense when it comes to corporate cards—why not streamline your cash flow and maximize efficiencies throughout your business? 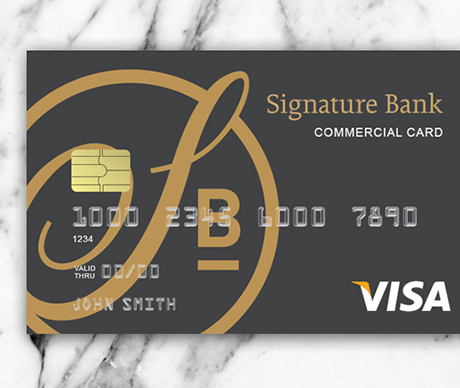 Our Corporate Credit Card Program comes with all the perks of plastic as well as the support you need from your trusted banker at Signature Bank. We welcome your call to a Signature Bank representative to find out how corporate cards can help your business. We’d love to hear from you. 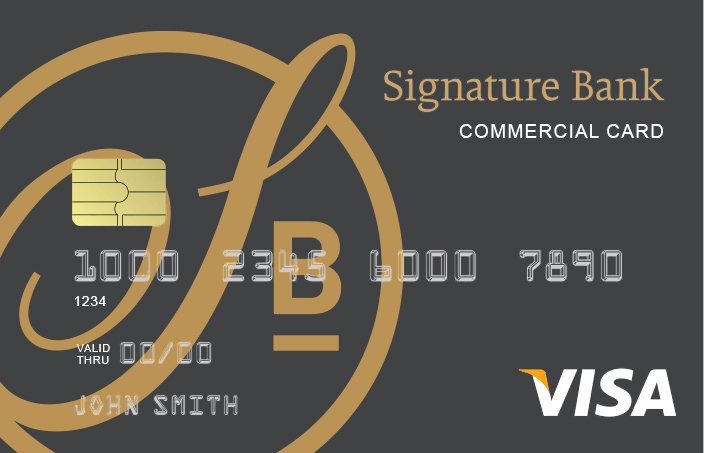 With added convenience and reduced hassle, the Signature Bank Corporate Card Program is a great choice for every business. Overwhelmed by paper checks? 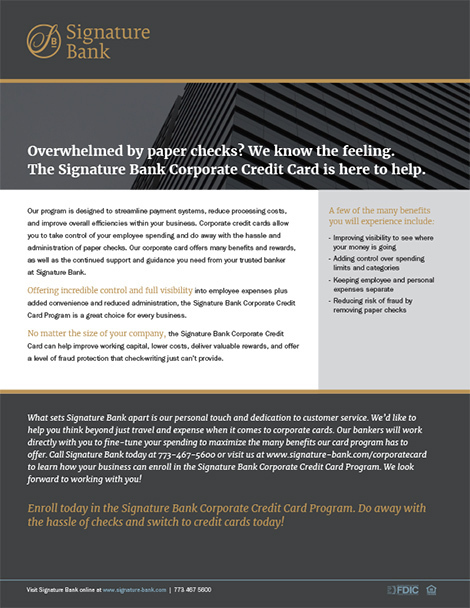 The Signature Bank Corporate Credit Card Program is here to help. 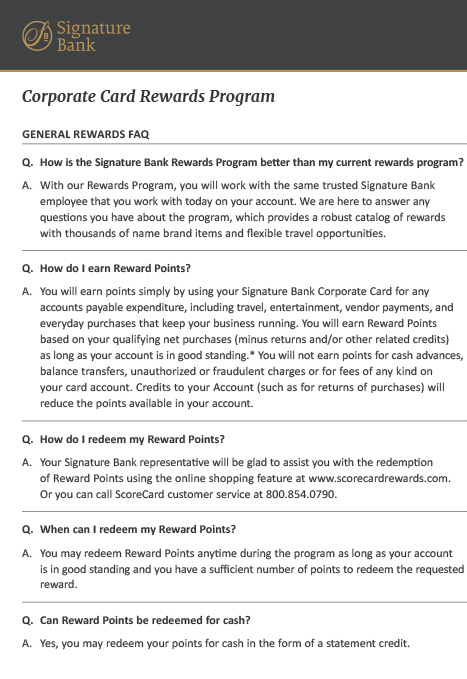 Find out how the Signature Bank Rewards Program can help you stockpile points that can be redeemed for cash rewards, discounts and other prizes.